NEW YORK, NY: On a muggy Manhattan evening last week, the subways crammed with people returning home from work, the streets bubbling with tourists, ice cream vendors, penny performers and screeching yellow taxis, a sound was heard in the skies of the city never heard before – Pakistan’s Sufi diva Abida Parveen, soaring above the tumult with Man Kunto Maula. Heads swayed, arms waved and eyes closed in rapture as hundreds of Pakistani-New Yorkers congregated at Union Square Park for the kick-off public performance of New York’s first Sufi Music Festival. 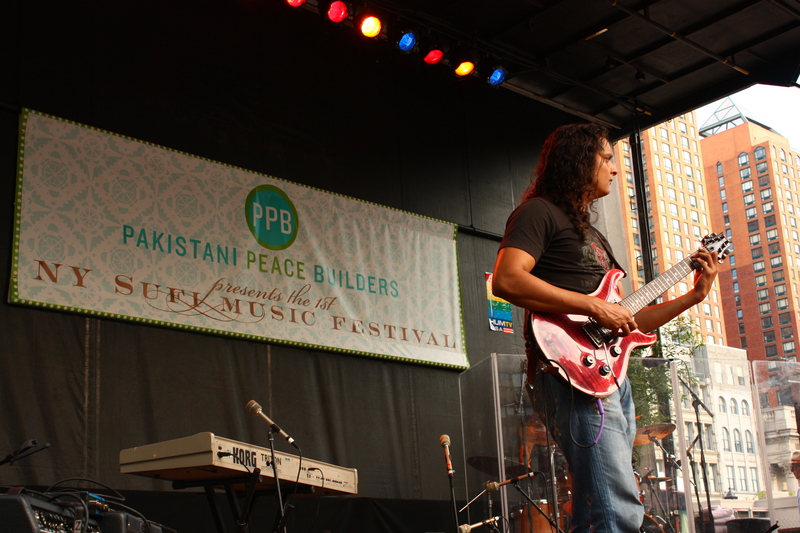 The three-day Festival, founded by New York-based cultural nonprofit Pakistani Peace Builders and Pakistan’s Ambassador to the United Nations Abdullah Hussain Haroon, not only brought some of Pakistan’s most acclaimed folk and contemporary artists to the American stage, but also a timely message. Zeb and Haniya opened the 3-hour long Tuesday show with signature grace, performing Coke Studio hits like Paimona and Bibi Sanam while the crowd gently clapped away under the 5 pm sun. The Mekaal Hassan Band followed, pitch-perfect as always, but the party really got started with the arrival of the magnificent Akhtar Chanal Zehri, introduced as “Baluchistan’s rapper”. Dressed in a crisp white shalwar and frock-kurta, pagri and waistcoat, Zehri whirled and swirled onto stage carrying his dhamboora between two fingers, nimble as a breeze, and belted out in his shepherd’s voice the 1990 Brahui hit Dana Pe Dana. Pakistanis sang excitedly along of what they remembered of the song from old PTV studio recordings, while more than one gora was seen trying to imitate Zehri’s elegant pirouettes. 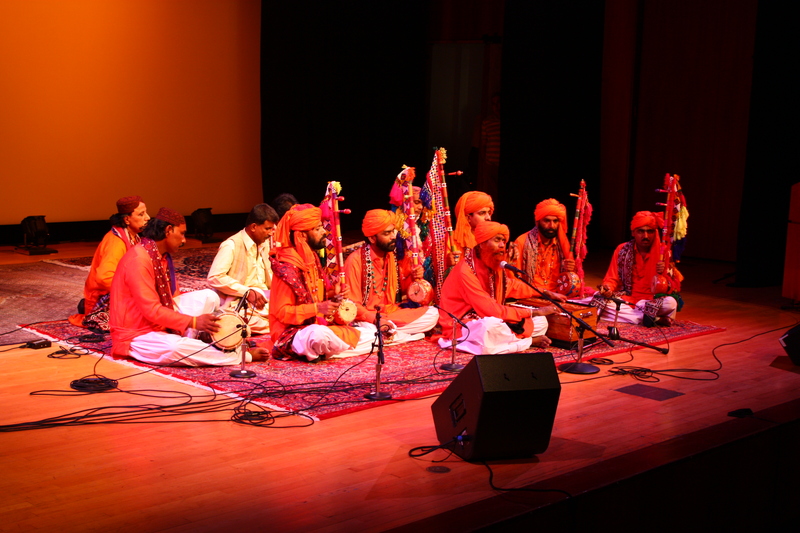 The Soung Fakirs from Sindh were an absolute treat; a splash of joy and colour amid the skyscrapers of Manhattan, their bright orange outfits and harmonious, earthy voices transported you to the beautiful blue-tiled shrine of Sacchal Sarmast in the Thar Desert. 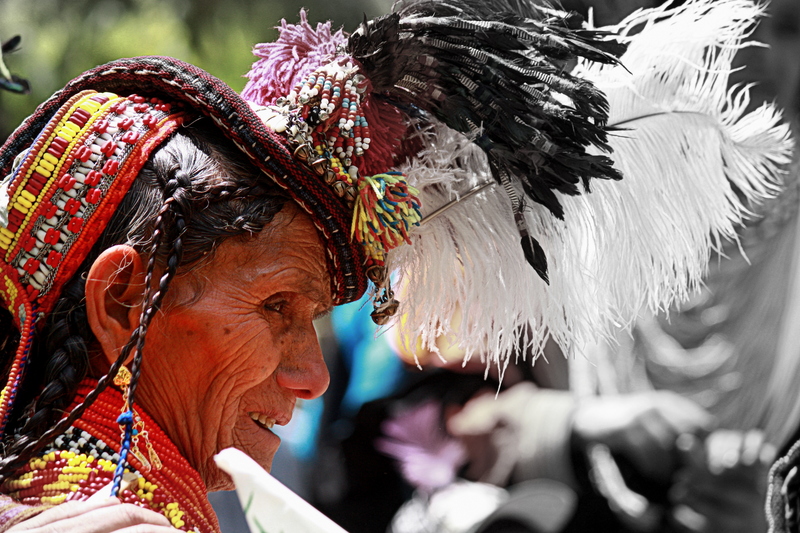 Exuding the pure love of their vocation as shrine singers, the Soung Fakirs were infectious and inspiring, like the song of the Hud-hud or hoopoe, a sacred bird in Islamic mysticism, of which they sang. 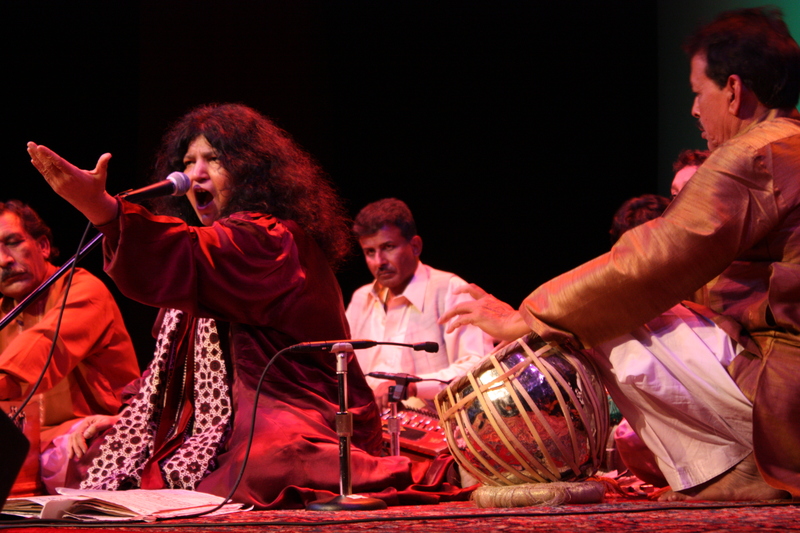 Abida Parveen ascended the stage to thunderous applause. Wearing a simple black kurta with an ajrak draped around her neck, her head a mass of curls, a humble smile on her lips, she began to sing – it was a spell. Her deep, husky voice resonated within your heart, so that you felt like she was talking to you, and when she held notes for minutes on end with unbroken strength and clarity, you found yourself holding your breath, and when she broke forth with a crescendo of music, you could just gasp Wah! or Wow!, depending on your generation, and sway your head and clap your hands like everyone else, overwhelmed by the power of her voice. From Tere Ishq Nachaya to Mast Qalandar and Hey Jamalo, when all the other performers joined her on stage for a lively finale, the energy was unstoppable. Everybody was on their feet, shoulder-to-shoulder, cab drivers and Ivy Leaguers, shopkeepers and investment bankers, housewives and politicians, miniskirts and hijabs; it was a rare sight, Pakistanis of every class and profession brought together in one surging crowd before one stage. 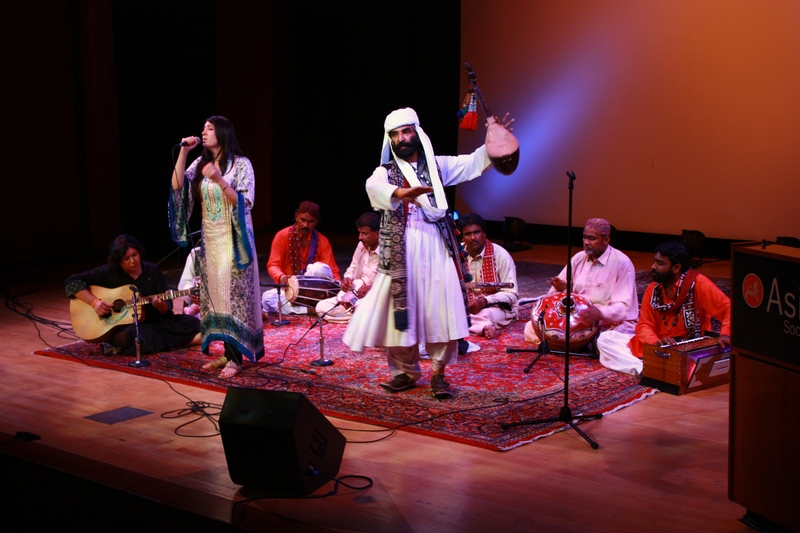 They were brought together by one passion – our music and our Sufi heritage, and the spirituality that is embedded in our roots, no matter Punjabi, Sindhi, Baluch, Pashtun or other. The Union Square concert was followed by a second public performance by Zeb and Haniya and the Mekaal Hassan Band at the Rubin Museum of Art on July 21st, and two private concerts at the Asia Society and the United Nations the same week. As the Union Square show wrapped up and the crowd began to disperse, I couldn’t help but be reminded of the tragic, cold-blooded attack at Data Darbaar in Lahore. The Sufi Festival’s organizers had of course talked about it, and the Festival was in a way a tribute to the innocent lives lost in the attack. But I couldn’t help thinking that with that incident, something fundamental had changed in Pakistan; when the holy of holies was violated, a place more sacred in people’s hearts than even a mosque, something had broken. 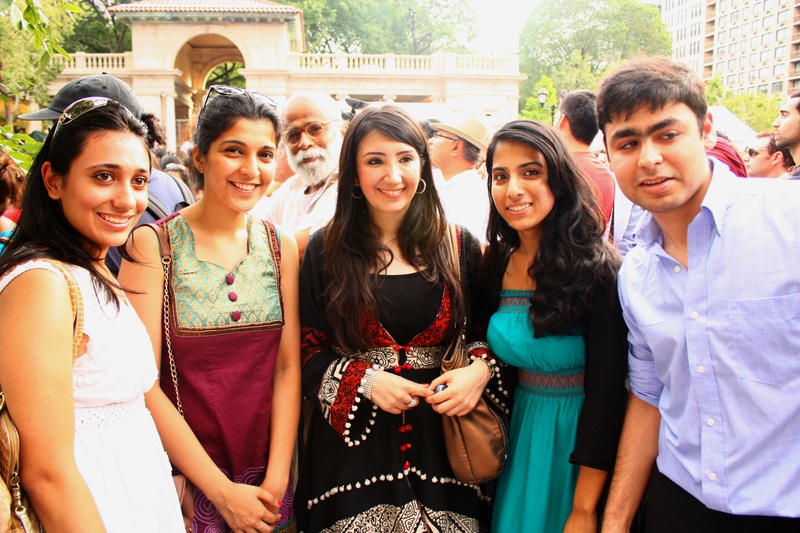 For Pakistani-New Yorkers, the New York Sufi Music Festival was both an antidote and an omen of that painful change. Manal Ahmad Khan is a Lahore native and graduate of the UC Berkeley School of Journalism. She is currently based in New York City.